It is the tail end of the successful reading season of 2016. While the investors and entrepreneurs could simply move on to the next venture, many enterprises were stuck with dead technology that cost a great deal to replace. Lesson learned? Not really. Sixteen years later, history seems to be repeating itself around cloud computing. The chances are good that you'll find the saturation point sometime in the next five to ten years. That is not a bad thing. It is an even better thing if you understand where that saturation point is by thinking practically about the use of the public cloud and justifying everything you move. If used properly and to the extent necessary, working with data in the cloud can vastly benefit all types of businesses. By doing so, you'll save money, time, and disappointment. Generally speaking, a public cloud consists set of services that are purchased by a business or organisation and delivered via the Internet by a third-party provider. A private cloud is essentially an extension of an enterprise's traditional data center that refers more to the fact that this type of platform is a non-shared resource than to any security advantage. 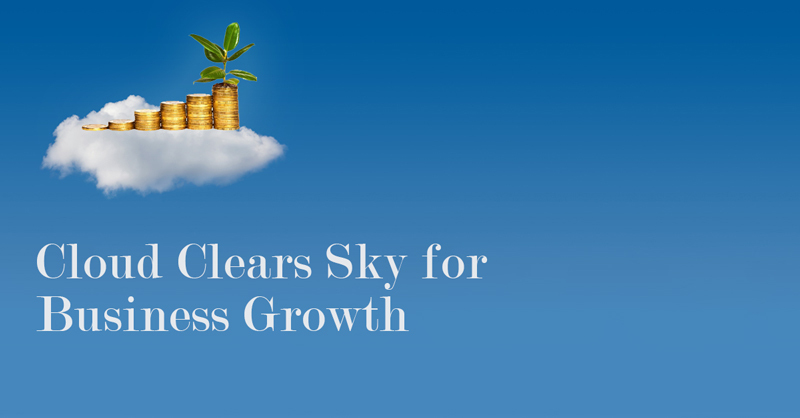 Cloud computing empowers businesses to overcome challenges. It converts capital expenses to operating expenses, thereby ensuring greater cash flow predictability. Also it increases business agility and innovation. According to the vForum Singapore Business Survey, 90% of successful Singaporean businesses say they are confident that cloud computing can enable innovation. This is critical because according to an SID survey, intense competition is the greatest challenge facing Singaporean businesses. Major benefits of cloud computing are that the boost speed of business by lowering turnaround time is extremely satisfactory for more businesses. This raises productivity levels and offer more secure and dependable disaster recovery. Cloud computing ensures a better support for remote and mobile workers; Also it offers scalable infrastructure without up-front costs giving access to the latest technology and future-proof against usage of out dated technology.